There is consensus among professionals that for the best results from the manual pourover method of brewing coffee, some agitation of the grounds is required. Plenty of prominent practitioners advocate stirring the grounds by hand — Hoffmann, Rao, Perger, the list goes on — yet the potential inconsistencies this might cause in a busy café can make execution difficult. Some also contend that a deft pouring technique alone could achieve adequate agitation. Yet the discrepancy persists in general because agitation is a difficult variable to isolate, specifically because it tends to occur during the pour, whether one wants it to or not. Bringing this discussion into even sharper focus right now is the Melodrip, a new manual pourover brewing tool that aims to throttle or eliminate agitation from the pour. 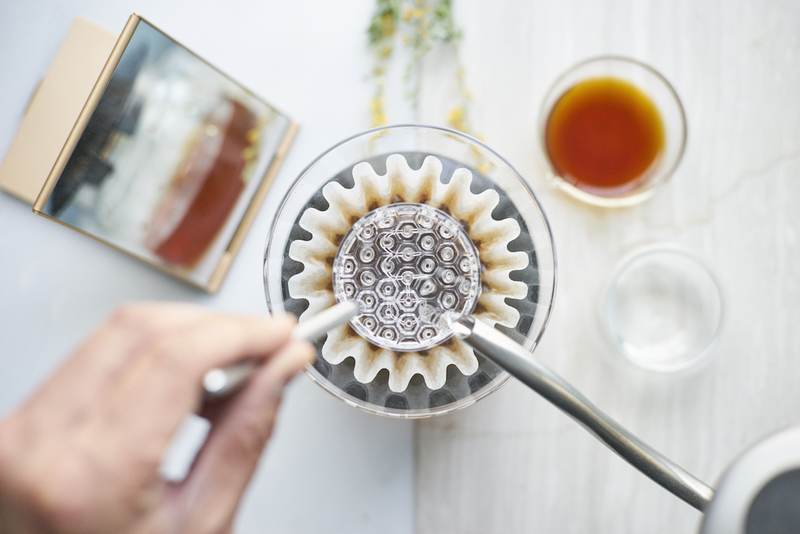 The Melodrip tool is essentially like a shower screen for pourover brewing; a handle-held dispersal dish made of clear Tritan plastic that spreads the singular, relatively heavy stream from a kettle into an array of very gentle dribbles. 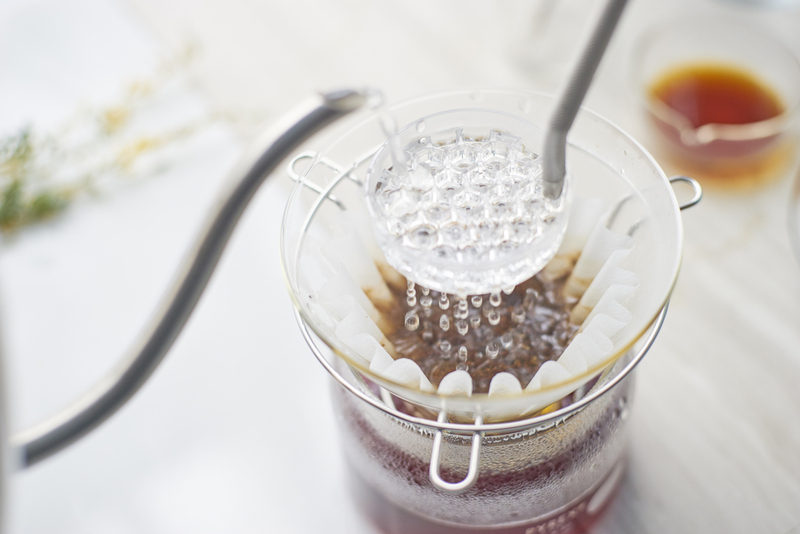 The user holds the Melodrip as close to the coffee bed as possible and moves it around while pouring the water onto it, facilitating even saturation with a minimum of disruption. The goal of the Melodrip is not to put the kibosh on agitation altogether, but rather to control it. 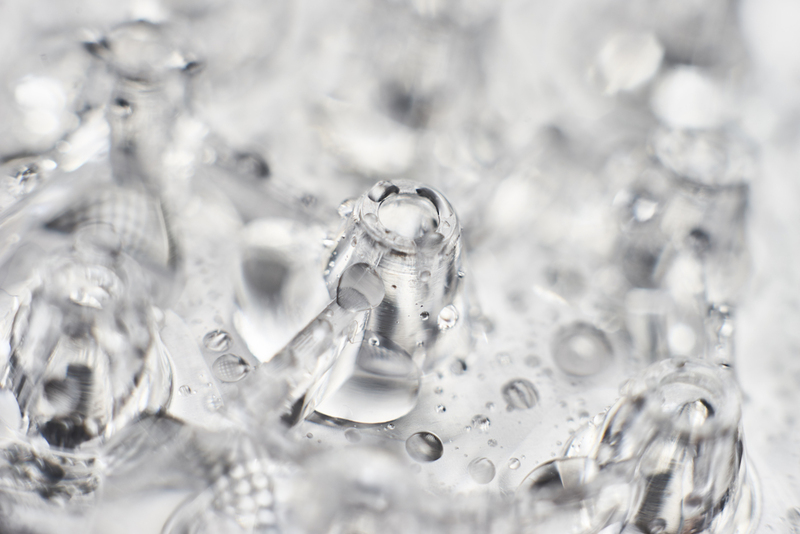 The problem with incidental turbulence, according to Melodrip developer Ray Murakawa, is the resulting “particle discharge,” i.e. tiny micro-fines that can then pass through any filter, including paper filters. 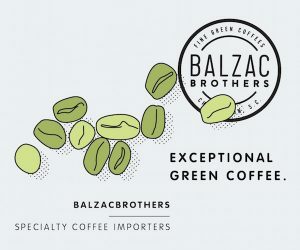 The subsequent cup is not as clear as could be, causing what Murakawa — who is new to the professional sphere of coffee but a lifelong, analytical devotee of the brew — characterizes as “receptor blockade,” a coating of these micro-fines on the drinker’s palate that blocks or disrupts one’s perception of the full, distinct spectrum of flavors and compounds present in the coffee. The Melodrip method involves pouring a bloom amount of water through the Melodrip and then deliberately stirring the grounds for even saturation and to break up clumps. From there one pulse-pours most of the water through the Melodrip, with care to maintain a low waterline. The final bit of water is then poured directly, without the Melodrip. 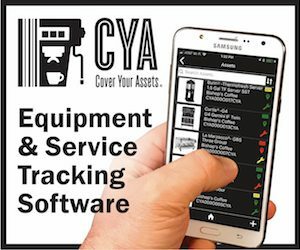 Recommendations for ideal use are still evolving as the device is currently in the hands of beta testers. 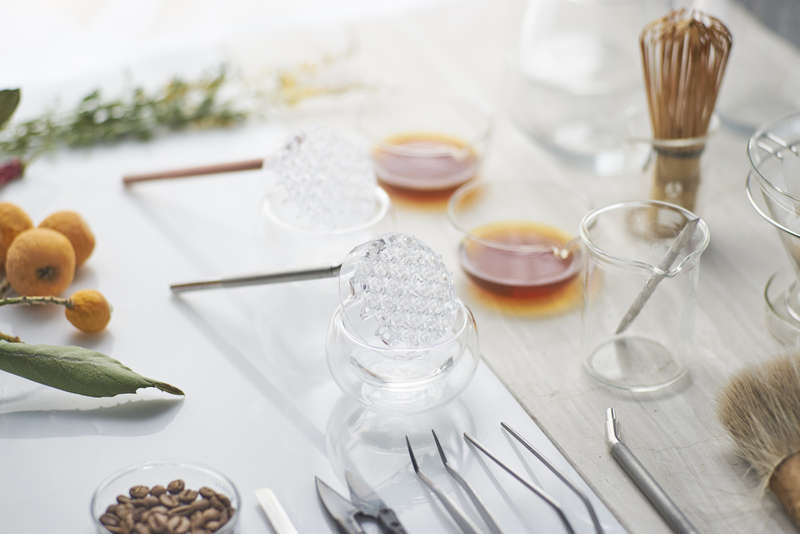 The Melodrip product package will include the Melodrip tool, a borosilicate glass stirring rod, and a dish upon which to rest the Melodrip when not in use. 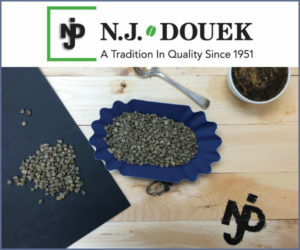 The tool can also be used to tamp the grinds, as demonstrated in at least one video published online by the company, although the benefits of tamping a pourover are still under investigation. 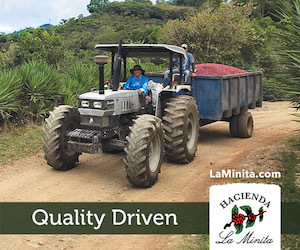 “We are currently testing tamping techniques with only coarse ground coffee to attain longer contact times,” said Murakawa, noting that in some cases a coarser grind can be a means of reducing fines that may be the result of grinder performance, roast profile, or other variable. 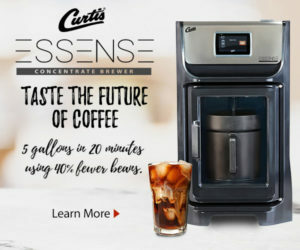 Murakawa does not expect universal adoption of the Melodrip, recognizing that high-volume cafes with no integration of a “slow bar” concept would not be likely to take up the Melodrip, although in more educational settings, in a roaster’s lab, or for home users, it may prove to be stimulating resource. Murakawa expects the Melodrip to be available for sale later this year. 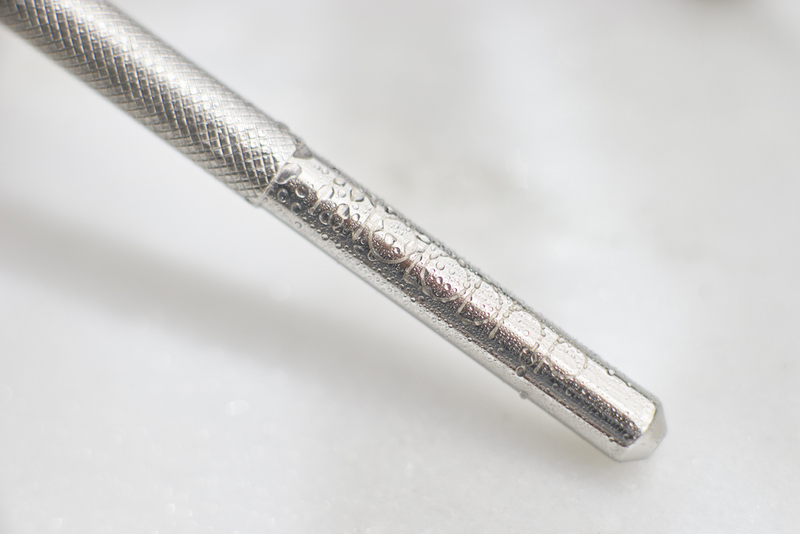 I’d like to see the acaia brew print with this tool. Very interesting… looking forward to this becoming available!!! 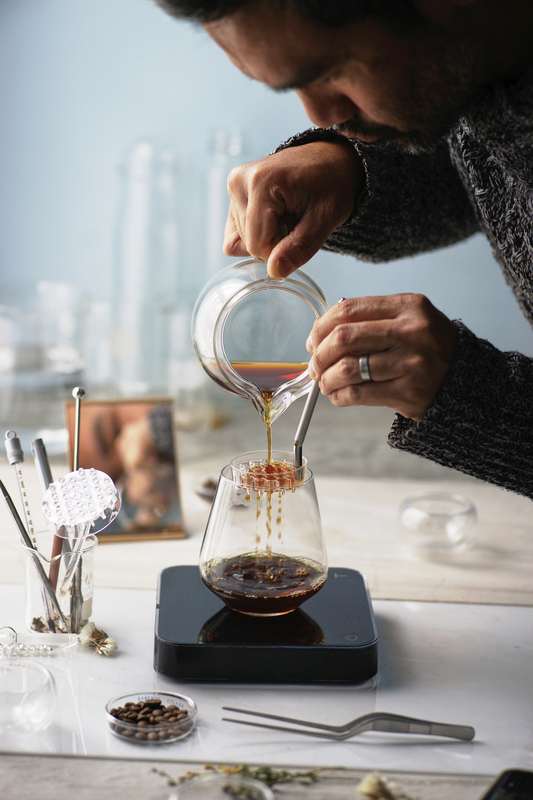 OR…you can just use a CLEVER DRIPPER! Great coffee, consistently, without all the fuss and useless gadgets! “Murakawa expects the Melodrip to be available for sale later this year.” ~ Funny, I expect to never hear of this again. This is just a newer version of your grandmothers Steve top drip-o-magic. Nothing, but NOTHING is new in coffee. Go to youtube, look up drip.o.magic, 1930-1950s. Don be fooled. Crazyassshet.